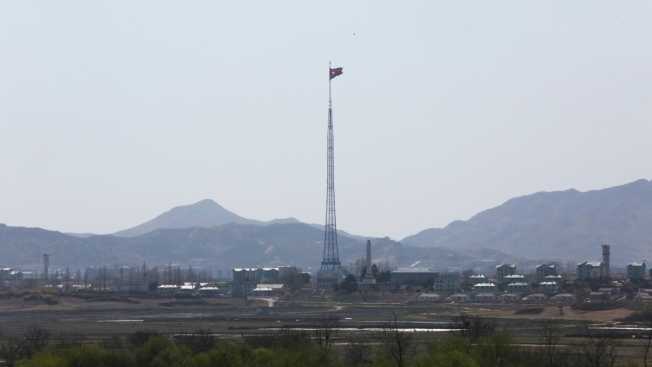 The South Korean troops will try to focus on taking out mines on the southern parts of Panmunjom's Joint Security Area and the so-called "Arrow Head Hill"
In this April 11, 2018 file photo, a North Korean flag flutters in the wind near the border villages of Panmunjom in Paju, South Korea. North and South Korea began removing mines at two sites inside their heavily fortified border Monday, Oct. 1 as part of their recent deals to ease decades-long military tensions. 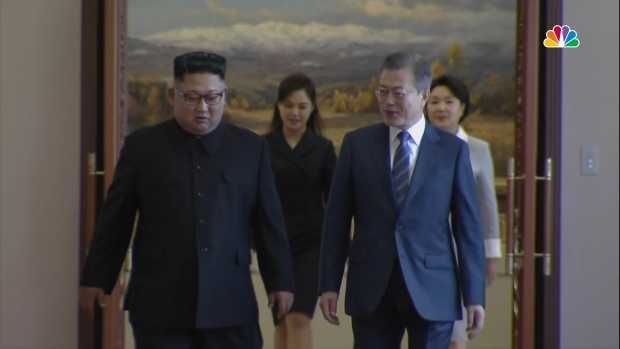 They will likely end up pulling out a very small portion of an estimated 2 million mines littered inside and near the 248-kilometer (155-mile) -long, 4-kilometer (2.5-mile) -wide Demilitarized Zone. But it would be the rivals’ first joint de-mining work in more than a decade and comes amid international diplomacy aimed at ridding North Korea of its nuclear weapons. South Korea began clearing mines from two sites inside the heavily fortified border with North Korea on Monday under tension-reducing agreements reached this year. Seoul says North Korea is expected to do the same.